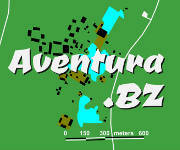 We have websites for the major archaeological sites in the Corozal District. There is also a page on a Maya village site, which is typical of many such archaeology treasures in the Corozal District. Most Corozaleños probably think of Aventura as that mound visible to the right as you leave San Joaquin heading south toward Libertad. But for a large part of our history, it was a thriving city, encompassing most of what is now San Joaquin, and more. An archaeological team from Northwestern University near Chicago will be back in mid 2018 to continue their excavation efforts. 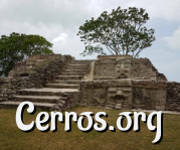 Cerros Maya is a large archaeological park on the Maya Peninsula, east of Corozal Town in the Corozal District. We have some photos from the site, but the website is due to be upgraded in the first half of 2018. 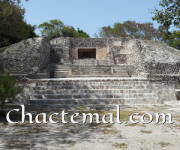 Chactemal, also known as Chactemáal or Chetumal, was an important area of the Maya civilization in what is now southern Quintana Roo, Mexico, and northern Belize. It includes the Santa Rita (Chactemal) Archaeological Site (which is actually in Corozal Town), and a large surrounding area. 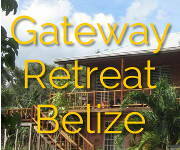 This site on the grounds of the Gateway Retreat, west of Corozal Town, might possibly be the most intact village mound settlement in the north of Belize. The first village mound settlements dating back to the Pre-Classic period (1200 BC to 250 AD) are actually found in northern Belize. They were corn-growing communities with allegiance to the nearby ceremonial centers. Printed from https://corozal.com — Archaeology in Corozal.